In this tutorial we’ll see how to use Contextual Action Bar with ActionBarSherlock and ListView in case when data items selected with long-click, and don’t have any UI components like checkbox to perform selection. Contextual Action Bar (CAB) is an important mode of Action Bar and a very user friendly design pattern. It is recommended to use when you perform actions with selected data like plain text or data items from ListView or GridView components. 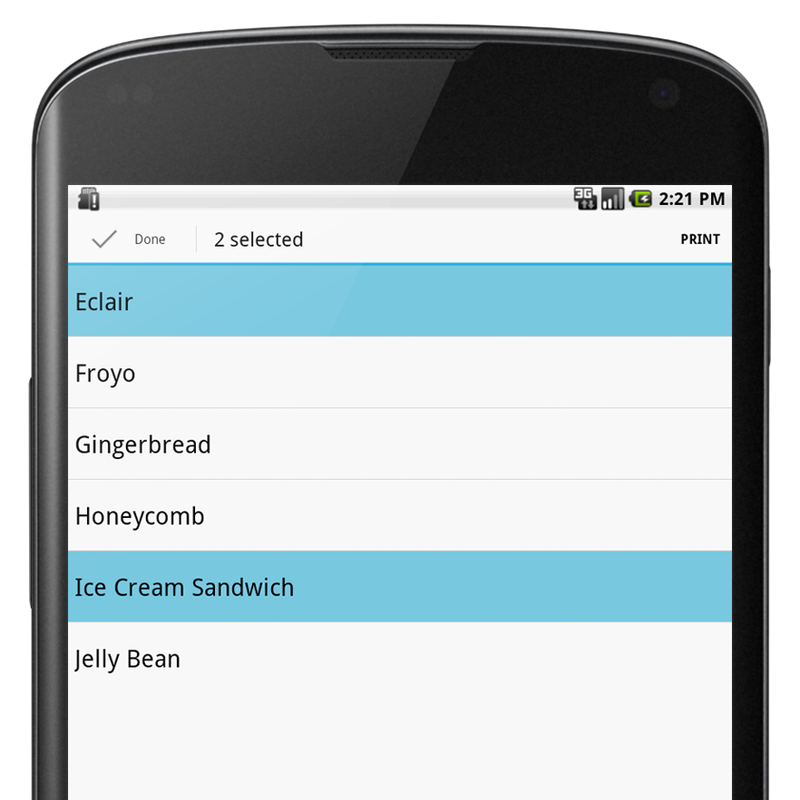 Although it is available from Android 3.0 it is a good practice to use it in apps working on earlier API versions. If you’re using Android 3.0 or higher there is a detailed description of CAB setup on each selection method – whether contextual action should be performed on a single selected item or on a group of selected items.